BookTrust has released research confirming how far children's publishing needs to go before it can be said to be properly diverse. In 2017, the research suggests, fewer than 6% of children's authors and illustrators were people of colour, and fewer than 2% were British people of colour. 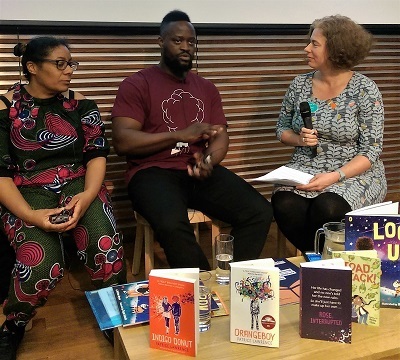 The charity disclosed the research at the Free Word centre in London yesterday as it launched BookTrust Represents, a campaign to promote diversity in children's books. 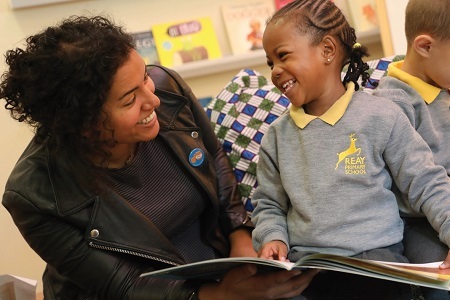 Jill Coleman, BookTrust director of children's books, said: "This significant piece of research shines a light on the fact that there is a desperate lack of authors and illustrators of colour within the children's books industry. We know there is lots of positive work happening to help level the playing field, but there is still a long way to go. Children need and deserve to see themselves in books, and to have access to a rich and diverse range of voices. If they do, it can be life-changing. 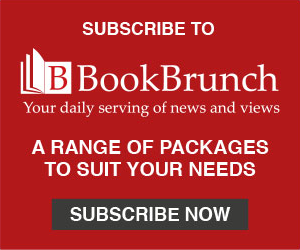 "BookTrust Represents is a three-year initiative to support and subsidise authors and illustrators of colour to promote their work and support them to reach more readers through events in bookshops, festivals and schools, as well as offering training and mentoring for less experienced authors and illustrators. Our aim is that by 2022 we will have increased the number of authors and illustrators of colour in the UK from less than 6% to 10%." The research has been supported by the Arts Council. Sarah Crown, Arts Council England director of literature, said: "This important research provides further evidence that children's literature does not reflect the diversity of 21st-century Britain, with writers and illustrators from black and minority ethnic backgrounds particularly under-represented. "The report highlights that the majority of the books available to readers in this country by writers and illustrators of colour are by overseas artists, shining a harsh light on just how poorly the UK is doing at developing home-grown talent. The stark findings that just 2% of children's books creators are British people of colour is truly shocking. To help combat this, we are pleased to support BookTrust's three-year plans to provide vital opportunities for writers and illustrators of colour across the country." Creative people of colour were handicapped by a shortage of role models among authors and among the characters in books, and and felt that they were unable to produce work without their ethnicity becoming an issue when promoting it to publishers and readers. Author Patrice Lawrence said: "When I give author talks in schools, I know that every young person in that hall has the potential to create original, engaging and thought-provoking stories. I also know that many young people do not believe there's a place for them to tell those stories. There are no names on the book spines like theirs, no author pictures that look like them. BookTrust Represents is a chance to change that by nurturing and showcasing new talent and inspiring the next generation of creators." BookTrust has partnered Speaking Volumes and Pop Up Projects to distribute to schools copies of the "Breaking New Ground" brochure - designed to promote 100 British writers and illustrators of colour - alongside book packs and recommended reads. Among the further findings of the research were that women of colour were more likely to be published than men of colour (65% to 35%); that there was a positive trend in the percentage of creators of colour published between 2007 and 2015, but a downturn between 2015 and 2017; and that nearly one third of children's books by creators of colour were self-published. Arts Council England and Sheffield Hallam University are undertaking further research on the inclusion and representation of people from black and minority ethnic backgrounds in children's literature. An online survey, which closes on 26 April, is at: bit.ly/DiversityinChildrensLit.